A Palestinian amora, who flourished at the beginning of the fourth century. 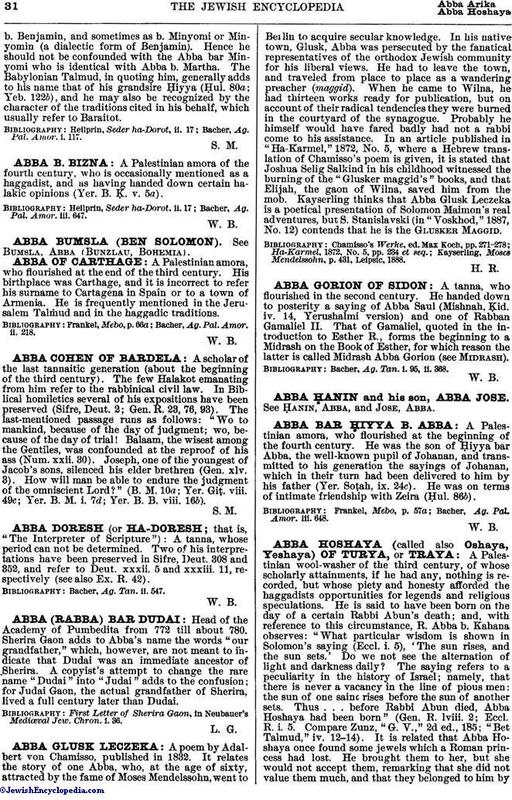 He was the son of Ḥiyya bar Abba, the well-known pupil of Johanan, and transmitted to his generation the sayings of Johanan, which in their turn had been delivered to him by his father (Yer. Soṭah, ix. 24c). He was on terms of intimate friendship with Zeira (Ḥul. 86b). Frankel, Mebo, p. 57a; Bacher, Ag. Pal. Amor. iii. 648.